Tow Truck Insurance Columbus Ohio – Great Rates & Same Day Coverage 7 Days Per Week! 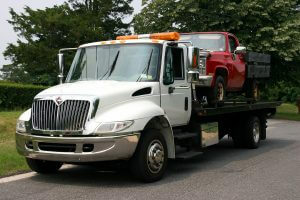 Need Tow Truck Insurance in Columbus Ohio or the nearby areas? Call Pathway Insurance at 800-998-0662 Monday-Friday until 5:30 PM (EST) when you need better options for commercial Tow Truck Insurance in Ohio, Michigan, Indiana, Minnesota, Maryland, Kentucky, Tennessee, Georgia, and Florida. Tow Truck Insurance Columbus Ohio – Check Your Coverage Carefully! It is super important to ensure you understand your coverage as there can be significant differences in coverage between companies. We like to use an educational approach to help Tow Companies, Garages, and Car Dealerships better understand the coverage you are purchasing. We use claim scenarios to emphasize how coverage may or may not apply exactly the same way between insurance companies and in different situations. Let’s consider a fictitious claims scenario right now. Billy ‘Beef’ Henderson was an offense tackle for Ohio State and after graduating was unable to get picked up by any of the pro teams so he decided to work for his dad, Bruce Henderson, in the family towing business. Billy, of course, loves his father but the two but heads on a regular basis so he decides to start his own towing company and his father is eager to lend a hand to help his son. Billy uses his savings and combination of a loan from his dad to purchase a tow truck. The next step is to get insurance and Billy’s dad recommends his insurance agent. Billy doesn’t really like his father’s insurance agent so he decides to shop around. He finds what he believes is the best deal from a local agent, makes it down payment and now he is ready for business. Billy Contacts some of the local municipalities to see if he can get in their towing rotation and with a few phone calls from his dad Billy gets listed on the graveyard shift with the sheriff’s office, and three smaller but nearby municipalities. He figures he’ll do his time on the graveyard shift and prove his worth. Billy gets a call from the sheriff’s office to remove a vehicle that apparently had been stolen and abandoned. He heads to the location and as he turns off the highway, more than a dozen deer shoot across the road and Billy, an animal lover at heart, swerves his truck but hits a huge buck head on. Unfortunately, the buck is dead and his truck is too! Sometimes it’s hard to imagine how much damage an animal can do to a vehicle, especially a large tow truck. Billy calls his dad to let him know what happened and his tow truck is not drivable so Billy himself needs a tow. The damage to his truck amounts to $14,522 and Billy files a claim with his insurance company. The telephone representative takes Billy’s information and assures him that a claims adjuster will call the next day. The claims adjuster, Fran, calls the next day as promised to get a more detailed statement about what transpired. Fran verifies with Billy that the damage was caused by a deer. Billy is confused at first on what Fran told him because he knows that he has full coverage on his truck, sure he has $2,000 deductible but he knows he didn’t forget to buy full coverage on his truck. Fran gives Billy the explanation over the phone and promises to email him a copy of his policy that shows why the damage caused by a deer would be excluded. Billy needs to take out another loan to pay for the damage to his truck to get back on the road. Why did Billy’s insurance company not pay the claim? Tow Truck Insurance Columbus Ohio – Best Deals Are from Pathway Insurance. When you are looking for good deals on Tow Truck Insurance in Columbus Ohio and the surrounding areas, the best values can be found with our company, Pathway Insurance. Why not call us today by dialing 1-800-998-0662 or use our convenient online rate quote system in the links listed below, or you can use our chat system if you have questions. We are available seven days per week to help you with your business insurance needs, call today to learn why we are the best at Commercial Tow Truck Insurance.